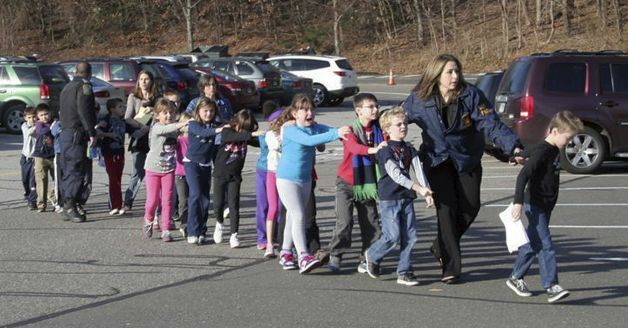 The mass shooting/murder today of dozens of kindergarten kids at a Connecticut Elementary School is just one of the many recent school shootings. This event should cause Americans to seriously think about allowing select, qualified school officials to have concealed handguns to protect kids before the police arrive. A few years ago, a friend of mine, Peter Morrison, was a School Board member at Lumberton ISD in Lumberton, TX. Morrison took a lot of heat from fellow school board members when he suggested that select, qualified, school officials should be allowed to have a concealed handgun at the school. Lumberton is not a big town, and there is not a police officer at every school. If something were to happen, the kids would be completely vulnerable and unprotected. Having a qualified school official with a concealed weapon at each campus would allow the school kids to be protected faster before the police arrive. Back a few years ago, Governor Rick Perry supported this idea for schools in Texas. So really, if everyone is okay with a police officer having a gun at school to protect kids, then why do we not allow select, qualified, trained school officials to have a concealed gun on campus to protect kids in cities where there are not enough police officers to be at every school? Gun control does not work. Gun restrictions only prevent good citizens from having a gun to protect themselves. Bad guys and criminals will still gets guns regardless of gun restrictions. Then when a bad guy gets a gun and wants to kill people, the shooter typically goes to a place where no guns are allowed so that he can shoot dozens of people knowing that no one can stop him from shooting because no one else has a gun.